With the economy still in “recovery” (regardless of what some people say) we often hear about some of the struggles our local schools deal with. Not only do we hear about teachers who have to spend their own money for classroom supplies, but there are many kids who families can’t always provided all of the school supplies on that yearly listed. Fortunately, there are programs, such a Champions for Kids, that work to help improve the lives of children across the US. 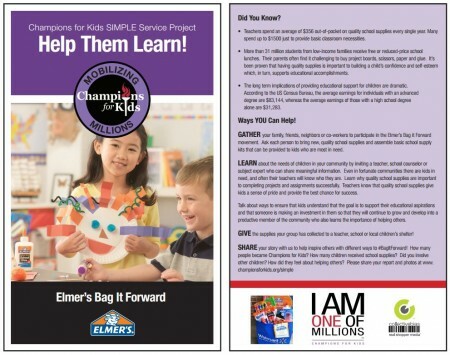 This month, Elmer’s is sponsoring the “Bag It Forward” Simple Service Project. The goal – to provide quality school supplies to kids who are in need. I’m excited to participate in the Elmer’s “Bag It Forward” Simple Service Project by providing a basket of school supplies to one of our local elementary schools – the Rossiter Elementary School. Not only does the Rossiter Elementary School provide education, but they also strive to teach our children “crown jewels” such as honesty, kindness, and responsibility. The mission of Rossiter Elementary School is to challenge and empower each student to respect themselves and others and become successful lifelong learners in a safe and positive environment. To stock up on some school supplies, we head out to our local Walmart for some back to school shopping. 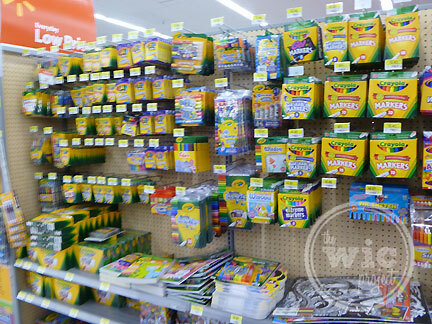 Although it’s been awhile since I was back in school, I have to admit is was a fun “throw-back” shopping experience, trying to decide on which crayons and which glues to purchase. 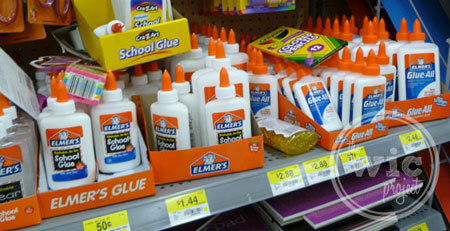 First, we stocked up on glue. Because every kid should have the chance to make glue hand prints use glue for an in-class project. After we picked up some Elmer’s glue, including clear glue, glitter glue, and 3D paint pens, we also grabbed a couple of Crayola crayons and markers. 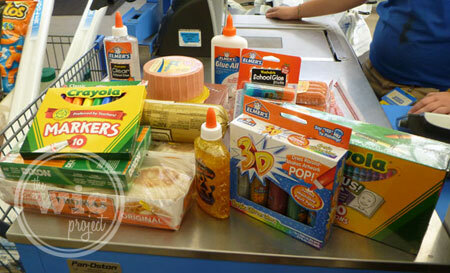 The school supplies aisle was the last part of our shopping trip, so once we were stocked, we head out to checkout. Once we got home, I assembled all of the school supplies in a basket. We’ll be taking the basket to Rossiter Elementary School later this week, just in time since the school year starts next week. Stay tuned for next week’s post where we share more about our donation as party of Elmer’s Bag it Forward Simple Service Project! Disclaimer: I am a member of the Collective Bias™ Social Fabric® Community. This shop has been compensated as part of a social shopper insights study for Collective Bias™ and Champions for Kids #CBias #SocialFabric. All opinions are my own. I completely agree that this is a fantastic project. 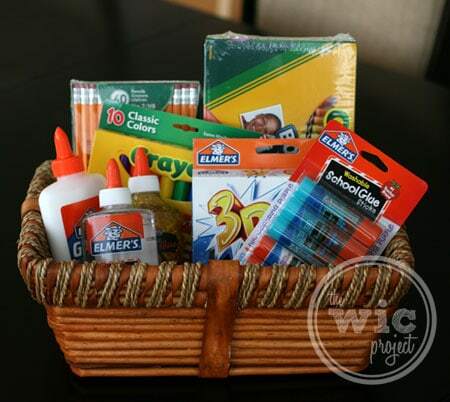 What an adorable basket of goodies for one teacher to receive! I love CFK! 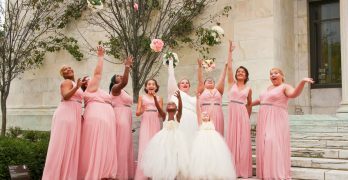 Such a GREAT program!!! Thanks for participating!